Now seeing patients in our new offices in Hackettstown and East Brunswick. Our dietitians stress the importance of consuming protein at all your meals. Not only does it help to keep you feeling full and satisfied, but it also fuels your body and keeps your hair, skin and nails healthy. After weight loss surgery, women should consume 60 to 80 grams a day while men should have 80 to 100 grams a day. 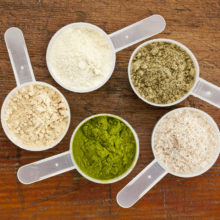 While healthy foods such as lean meats, chicken or fish are great choices, protein shakes are another strong option that are quick and easy to make when on the go. 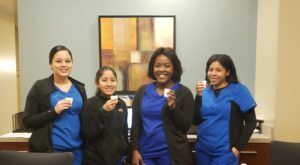 At New Jersey Bariatric Center, we welcomed the spring season with a protein shake sampling in our Springfield office. 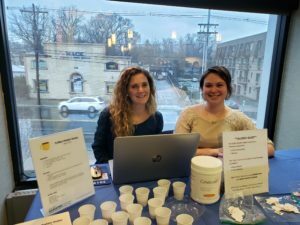 Patients sampled two fun and creative protein shakes – coffee and, peanut butter and jelly (PB&J). Both shakes were made with Celebrate High Protein Vanilla Powder. After several servings, our patients’ favorite choice was clear. The , PB&J shake won by a landslide! Many patients asked for the recipe so we thought it best to share it in our blog. PLEASE NOTE: The coffee protein shake recipe contains caffeinated coffee and banana while the PB&J protein shake recipe contains peanut butter and frozen berries. Both shakes contain ALMOND MILK and WHEY PROTEIN POWDER. If you have an allergy or sensitivity to any of these ingredients, we do not recommend that you try the recipe. Which shake is your favorite? Share your thoughts with us! 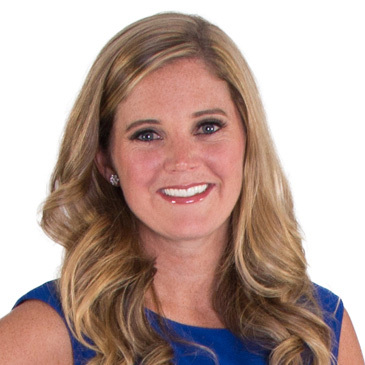 New Jersey Bariatric Center Registered Dietitian | Meagan Butler, RD, is a registered dietitian at New Jersey Bariatric Center, a medical & surgical weight loss center with offices in Springfield, Somerville, Hoboken, East Brunswick and Hackettstown New Jersey. In addition to leading our monthly Support Group, Meagan provides pre-operative and post-operative nutritional counseling to New Jersey Bariatric Center’s Gastric Bypass, Gastric Sleeve, LAP-BAND (gastric band) and revision patients, in addition to counseling for patients in our Medical Weight Loss program. *According to studies, bariatric surgery results in an average weight loss of 45-75 percent of excess body weight. Results depend on a variety of factors, including but not limited to adherence of post-operative guidelines.